PHILADELPHIA—Federal, state, and local law enforcement, today, arrested more than 30 people on charges of distributing drugs in and around the city of Chester, PA. The operation targeted alleged members of the violent Rose and Upland Drug Trafficking Group (“DTG”) and coincided with the unsealing of 14 indictments charging 40 people. The group is charged with selling drugs, illegally carrying guns and stashing both drugs and guns in a neighborhood playground. The main indictment is a 261-count superseding indictment that charges 22 of the 40 defendants with operating a drug market within the Rose and Upland neighborhood on the east side of Chester City. According to the indictment, William Dorsey ran the operation, sold multiple kilograms of cocaine, often in the form of crack, to members of the group and others. One of the group’s largest alleged cocaine and heroin suppliers, Paris Church, has been charged in five separate indictments alleging that he, along with others, distributed and attempted to obtain approximately 25 kilograms of cocaine for re-distribution. The charges were announced today by United States Attorney Zane David Memeger, Delaware County District Attorney Jack Whelan, Drug Enforcement Administration Acting Special Agent-in-Charge Robert R. Niczyporowicz, FBI Special Agent-in-Charge Edward J. Hanko, and Chester Police Chief Joseph Bail. According to the superseding indictment, the DTG was distributing cocaine, crack cocaine, and heroin to customers in their territory and elsewhere between September 2012 and 2014. Charged with Dorsey are: Donald Womack, Sr., Paris Church, Braheem Edwards, Naim Butler, Ronell Whitehead, Michael Lewis, Breon Burton, JaVaughn Anderson, Robert Duson, Spencer Payne, Satchel Johnson, Alonzo Jones, Jamear McGurn, Classie Mae Dorsey, Herman Purnell, Dondre Ellis, Erven Towers-Rolon, John Dennis, Charles Stansbury, Waali Shepherd, and Kareem York. The defendants are also charged with maintaining a drug house, possessing firearms in furtherance of drug trafficking crimes, and distributing cocaine, crack and heroin within 1,000 feet of area schools and a playground. Some of the defendants are also charged with being felons in possession of firearms. During the investigation, 15 firearms were recovered. Several other individuals are charged in separate indictments with drug trafficking conspiracies and other drug distribution offenses. 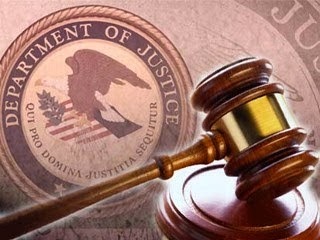 Included in those indictments are: Kareem Bannister, George King, Nathaniel Coles, Lamont Carter, Rafael Hunt-Irving, Michael Pinkney, Solomon Whitaker, Shmeca Melvin, Anthony Floyd (of North Carolina), Steven Miller (of Maryland), and Anthony Potter, Shawn Mills, Tiffany Beauford, Farud Gigetts, Avery Mosley, Al-Ghani Rasheed, Steven Crews, and LaQuan Allen. According to the superseding indictment, members of the DTG who sold cocaine hid the drugs in various ?stash? locations in order to avoid having drugs on them if they were stopped by police. Those stash locations included playgrounds, abandoned houses, alley ways, trash cans, mailboxes, windowsills, and other locations in the neighborhood. Members of the RUDTG controlled the drug sales in the Rose and Upland geographic territory and did not permit non-group members to sell drugs in that area. To protect their territory and drug trafficking activities, members routinely carried, and sometimes used, loaded firearms or had firearms available in hidden locations, including their stash locations. The government has given notice of intent to forfeit 15 firearms seized during the investigation, along with approximately $1.8 million proceeds derived from the crimes charged. The case was investigated by the Delaware County Office of the District Attorney’s Criminal Investigation Division, the Drug Enforcement Administration, the Federal Bureau of Investigation, the Chester Police Department, and the Pennsylvania State Police. Also providing substantial manpower and assistance in the arrests were agents from the United States Marshall Service and the Bureau of Alcohol, Tobacco, Firearms and Explosives. It is being prosecuted by Assistant United States Attorneys Faithe Moore Taylor, Ashley K. Lunkenheimer, and A. Nicole Phillips.